If you are interested in immersing yourself into the authentic Turkish culture without moving around for sightseeing, then Turkish Bath is the ideal option that combines both. 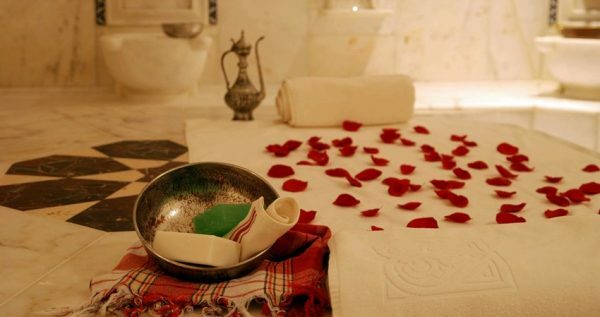 Side Turkish Bath invites to experience the Ottoman style of body and mind rejuvenation. Revitalize your body and senses with sauna session, body scrubbing and foam massage. A relaxing oil massage and facial mask at the end will make you feel relaxed and ready to continue you holidays in Side Turkey. Side Turkish Bath starts when our team members pick you up from your hotel. 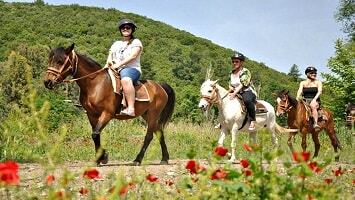 They will drive you with comfortable vehicles towards the traditional Turkish style hammam. There you will meet the professional staff that is ready to assist you throughout your experience and offer to you a VIP service. The staff will give you a personal locker in order to safely store your personal belongings. In addition you will be given a pair of slippers and a waist cloth to wear. At first phase you will enter the sauna as your skin needs to be properly prepared for the rest of your experience. When your skin’s pores are open, it means that your skin is ready to get full advantage of the process. The interior of this room has wash basins with metal bowls and a huge stone platform in the middle of the room. There you can enjoy the steamy interior and you can also relax on the central platform. What follows is a 30-minute session with your masseuse. More precisely, the masseuse will proceed with a full body scrubbing and wash you off with a foam massage to remove all the excess cells and rejuvenate your skin. The Side Turkish Bath is strongly recommended during the beginning of your vacations. This is because, body scrubbing will help you get rid of dead cells and your skin will be ready for a long-lasting tan. After this session you are allowed to relax for a while in the room while enjoying a traditional Turkish tea. When you are relaxed and calm enough, oil relaxing massage follows. The massage will have an approximate duration of 20 minutes and emphasis will be placed on tired muscles and bones. Once the body is totally relaxed, is time for the facial mask and massage. The Side Turkish bath experience will make you feel relaxed and stress-free as it targets the body’s and soul’s rejuvenation. By the end of your Turkish bath experience, a vehicle will be waiting for you to drive you back at your hotel. Combine relaxation and culture by participating in the ultimate Side Turkish Bath experience. This excursion provides everything you need to relax and set your mind free. Turkish Bath has a long tradition and has always been viewed as an important process that revitalize mind and body. Get away from the crowds and enjoy a relaxing and pleasurable day at a traditional Turkish Bath. At a scheduled time, you will be picked up from your hotel by the members of our team. With a comfortable vehicle you will be driven towards the traditional Turkish Bath in Side, where you relaxing excursion begins. Once you arrive at the Turkish Bath, you will meet the professional staff. They are ready to comfort and offer you a VIP service in order to enjoy your experience at its maximum. You will be given a personal locker in order to safely store your personal belongings. In addition, you will be given a pair of slippers and a waist cloth to wear. It is important to mention that you need to bring your swimsuit in this excursion as you will be wearing it throughout the whole process. At a first phase, you will enter the sauna for a while as your skin needs to be properly prepared for the rest of your experience. Your skin’s pores need to be open in an effort to help the skin to “breathe” and get revitalized. The interior of the hammam has wash basins with metal bowls and a huge stone platform in the middle of the room. What follows is a session with your masseuse that has an approximate duration of 30 minutes. The masseuse will proceed with a full body scrubbing in order to remove the dead cells from your skin. After the full body scabbing, a foam massage follows in order to wash off your body and feel relaxed. After that, you will be given some time to relax and enjoy a cup of tea. What follows is a 20-minute oil massage that will emphasize on tired muscles and bones. During that stage your body will be fully revitalized and relaxed from the process. A face mask is the next step, as your facial skin needs also to receive the appropriate care from the professionals. This facial treatment will be targeting to make your skin smooth and provide the required hydration. In an effort achieve these positive impacts on your face, a facial massage will also be provided. 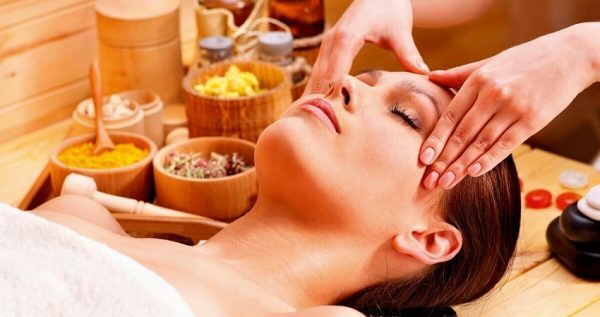 This facial massage will further contribute into your body’s and mind’s relaxation. Side Turkish Bath excursion ends by the time you arrive at your hotel. By that moment you will be full of positive emotions, stress-free and totally relaxed.